Monday was also a celebration of the over 3,000 workers who work on the site daily. It was beyond important to thank those who dedicate their time and effort to ensure the building remains on track to open in the summer of 2020. As of today, the stadium is over two-thirds complete. With the canopy shell now in place, the structure looks more like a stadium than ever before. And soon, more landmark pieces to the project will be put in place, bringing the extraordinary project to life. Monday’s celebration was truly special, but also showed how close the project is to completion. 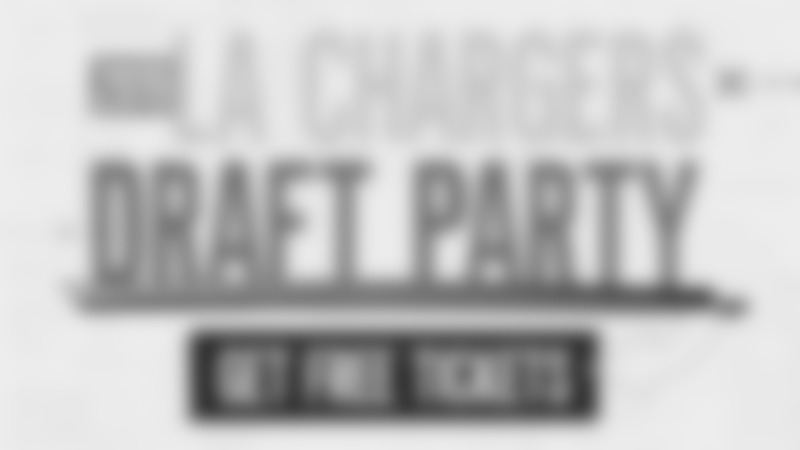 It’s only a matter of time before Chargers fans can take their seats inside the stadium, getting a unique and special NFL experience that’s never been seen before. 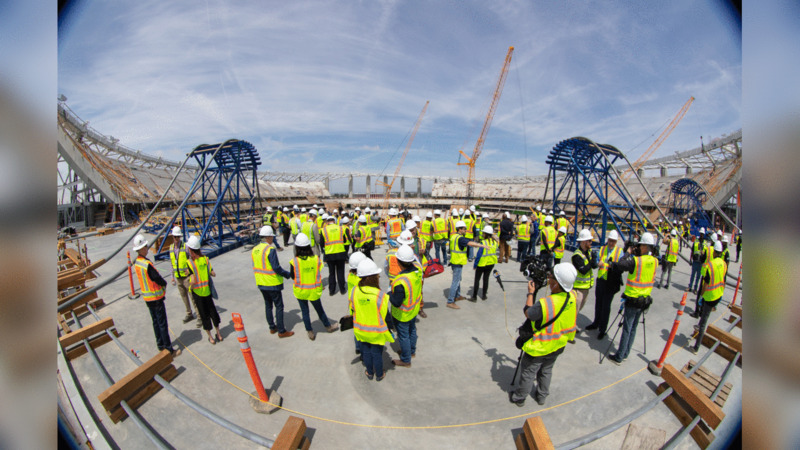 Topping out Ceremony at Los Angeles Stadium on Monday, April 15, 2019 in Inglewood, CA.